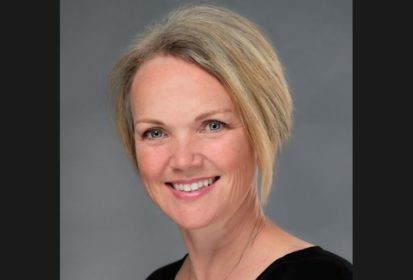 The Canadian Federation of Agriculture has elected its first-ever female president in a changing of the guard at its latest annual meeting. Mary Robinson, past-president of the Prince Edward Island Federation of Agriculture, was elected president Wednesday at the CFA’s AGM in Ottawa. She replaces Ron Bonnett, the organization’s president since 2010. Keith Currie, president of the Ontario Federation of Agriculture, was elected as first vice-president; Chris van den Heuvel, former president of the Nova Scotia Federation of Agriculture, was elected second vice-president. “I am looking forward to engaging key stakeholder and political decision makers on why the agri-food sector is the leading economic engine of Canada,” said Robinson, who has also previously chaired the Canadian Agricultural Human Resource Council. Robinson is a member of P.E.I.’s Robinson family and a partner in the Eric C. Robinson Inc. group of farm businesses. A certified crop advisor, she manages Island Lime, a Robinson operation providing lime, gypsum, custom lime and fertilizer application and other farm services. Robinson, who also currently sits on the board of the Canadian Centre for Food Integrity, received the P.E.I. Women’s Institute’s Women in Agriculture award in 2017.